Mobile is personal. It’s a 24/7 connection to your patrons that places your content and messaging within arm’s reach anytime, anywhere. Correspondingly, downloading your mobile app onto my smartphone is a personal act. I am investing in a relationship with you. Maybe I went to your website on my phone to buy a ticket, and it prompted me to download your app. Maybe I attended a performance where you had special content available in your app. But once I have bought that ticket or attended that performance, then what? What will keep us connected and encourage me to use your app again? Push notifications are text messages linked to content and sent directly to your app subscribers. They’re a powerful way to keep your patrons engaged, share timely information, and remind them of the compelling content at their fingertips. When an app subscriber gives you permission to send them notifications, they expect you to do that. They also expect you to deliver value every time. Push notifications are similar to broadcast emails and text messages in that the patron chooses to receive them. But how effective are they compared to email or texting? 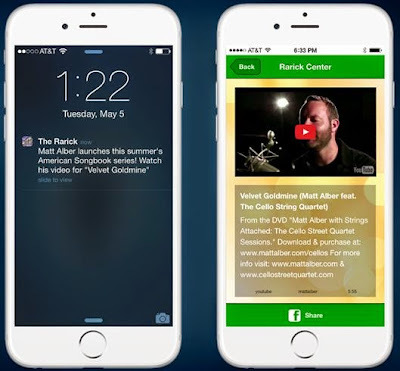 Push notifications have a higher probability of reaching your patrons. Broadcast emails can get caught in spam filters or bounce back from servers and full inboxes. 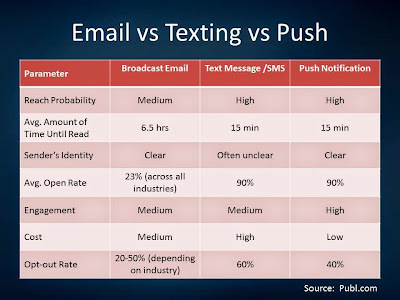 Because we keep our mobile devices within arm’s reach, we’re likely to receive a push note much faster than an email. Push notifications are clearly associated with you – rather than a series of numbers. Because of this, mobile users are more likely to click through on a push note. Sending broadcast email often requires you to sign up for an account with a service provider like ConstantContact or MailChimp. The costs for those services are often determined by the number of messages you send. And with text messages, you end up paying a fee for each message sent. Push notifications are already a part of your InstantEncore service. You can send as many messages as you like without incurring further expenses. While push notifications have a lower opt-out rate than text messages, it’s not quite as strong on average as email. In our next post, we’ll discuss how InstantEncore’s new opt-in screens help address this challenge by predisposing your app users to opt-in for notifications rather than opting-out.